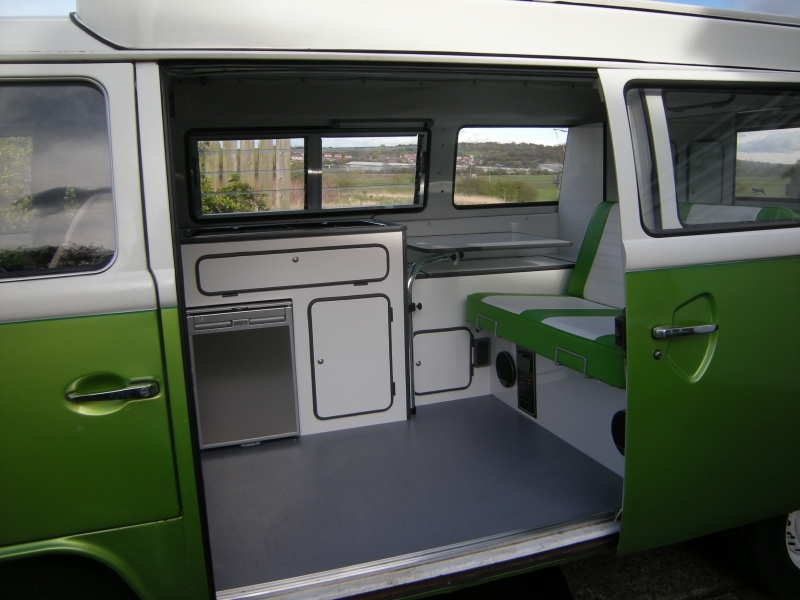 VW T2 interior for VW bay windows is a ideal conversion for your tired old T2. 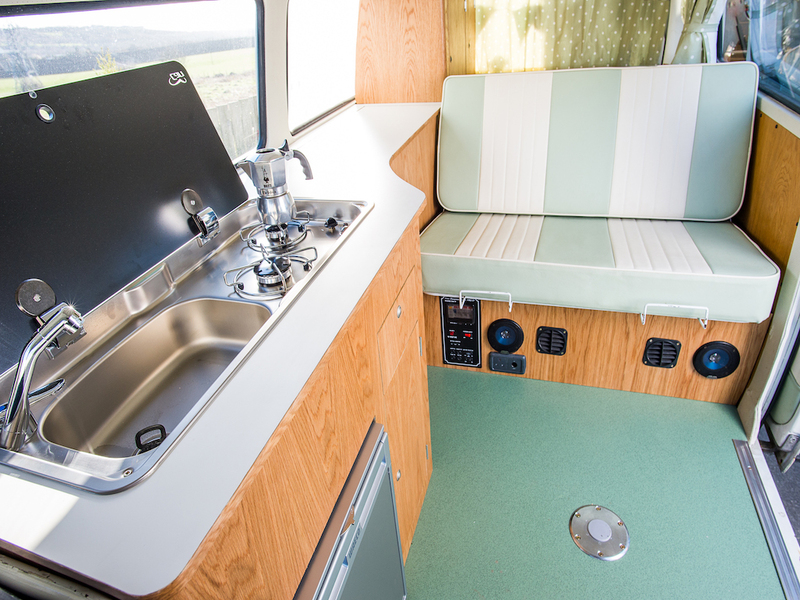 Each Camper interior is hand-constructed, glued and fitted together with spline and biscuit joints to ensure the camper conversions will last for many of years to come. 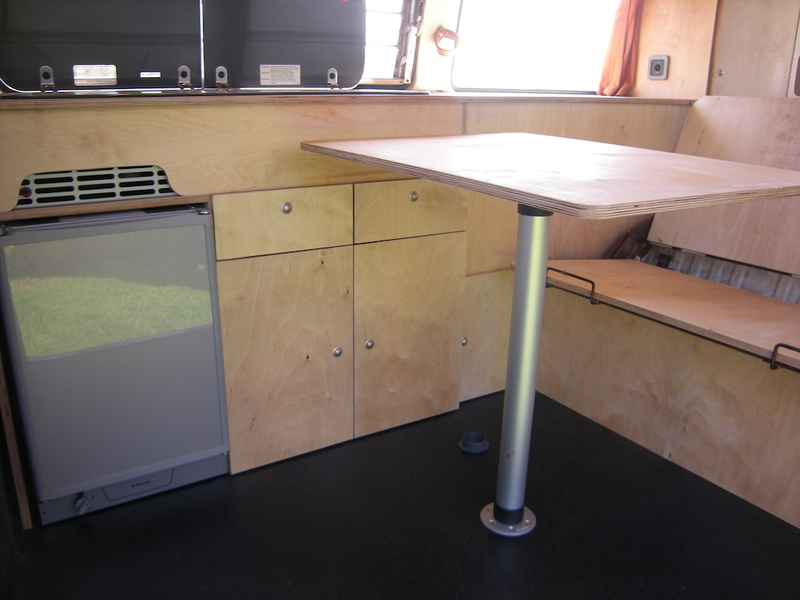 You can choose from one of our own designs from our gallery or we can work with you to build your bespoke camper van interior to your own specification. Your choice of VW interior can be constructed in hard-wearing laminate or real wood, with matching edge trim or contrasting trim. We do not use glue on edging because in our experience this comes off in time so edging is fitted to our professional specification. We also have a range of available flooring, fit new electrics and can supply Propex heating components, upholstery and interior linings on request, take a look at our gallery page for more detailed pictures.